How often have you heard a rugged computer manufacturer talk about how “far” their technologies will go to keep your field-based workers connected and productive – often showcasing the PC’s ability to reach the ends of the Earth and beyond? And how many times have you been skeptical of such claims? Probably more often than anyone would like to admit, right? I get it. Even the most rugged laptop — built to withstand arctic temperatures or the pressures of high-altitude travel — has limitations. Off-the-grid communications limitations specifically, in that they’ll never capture a signal if they can’t find a 3G/4G network. Oftentimes, even though you still bring these environmentally hardened rugged computers with you into the field for emergency response calls, pipeline inspections, and other specialized data collection tasks, you just accept that it’s a “file now, transmit later” tool, right? That is until you’re back in network range and you don’t have access to data, for dispatch or reporting. Maybe in the most extreme cases, you’ll rely on a satellite phone to maintain real-time, voice communications. Well, here’s some great — no, Earth-encompassing — news for you!. CLS America has introduced a legitimate “off-grid” PC working in partnership with Xplore. Working closely with field-based professionals, such as maritime and wildlife authorities, the military, law enforcement leaders, and even expeditionary researchers, they’ve partnered to build a mobile computer that will literally stay connected anywhere you need it to go, the entire time . North Pole? Check. South Pole? Check. At sea? Check. Anywhere in between? Check. 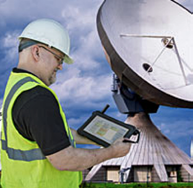 Thorium X, the field industry’s first-in-class satellite communications rugged tablet, is a convergence of the best-in-class technologies covering the entirety of the extreme communications spectrum. The Thorium X merges the Xplore D10 rugged Android tablet (as the core, no-compromise computing platform) with the Iridium satellite network (comprised of 66 satellites orbiting Earth) to offer real-time mapping data and weather reports, enable real-time email communications, and facilitate the completion and sharing of personalized electronic forms relevant to your workflows. Even when there’s no 3G/4G, Wi-Fi or Bluetooth signal in site. Tech decision-makers wanted to know whether or not constant, non-coded data communication, anywhere on the face of the Earth, can be guaranteed. Let’s just say that they became convinced this wasn’t an empty promise once they saw the Thorium X in action. Then there were questions about throughput of the data connection. In short, we demonstrated how Thorium Software manages the data connection in order to efficiently manage email, mapping, weather and custom forms. 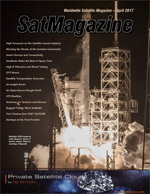 Lastly, many asked about the cost of the satellite data connection. While the answer depends on use, it’s fair to say that the average monthly cost is in the same ballpark as cellular data contracts. However, you don’t have to fret over roaming fees or the need for country-specific network reliability and customer support. Instead, with CLS’ satellite-connected tablet, you get standard, around-the-clock communications connectivity in regions of the world where no other wireless coverage is available or even possible. Now, will this first-in-class satellite-connected Android tablet be the correct PC platform for every mobile workforce? Maybe, or maybe not. It sure won’t cost you anything to consider the potential advantages of this unprecedented level of communications connectivity, especially if you’re responsible for a highly mobile workforce. Consider this: Even if your field service technicians are off-the-grid one day a month for an ultra-remote pipeline inspection, how much time does it take them to drive back within range of a network to submit their findings and recommend maintenance or repair actions? How much lost time, and lost productivity, could be recovered if they had been able to transmit their findings in real-time via a satellite connection? If you’re looking for an Android-based mobility solution anyways, this is certainly an option to explore today. After all, you never know how much this joint CLS America-Xplore innovation can advance your corporate mission until you understand how fully it can support the needs of your remote field teams. Ashenbrenner has more than 25 years of computer engineering and engineering management experience, with 18 of those specific to mobility and the field requirements that enable real work to happen. He was previously a Solutions Architect with Xplore Technologies (and Motion Computing) for 13 years. In that role, Ashenbrenner led the development of a suite of rugged mobile tablet PCs, services and software, with an emphasis on supporting the whole mobile work environment. Durable Mobility Technologies, LLC, under the direction of Bob Ashenbrenner, works exclusively with Xplore Technologies to develop future-proof mobility solutions for customers across multiple field service and industrial sectors. As an industry consultant, Durable Mobility Technologies, LLC, is focused on optimizing rugged tablet-based solutions for mobile workers of all kinds, including utility and public safety professionals. Ashenbrenner is particularly committed to helping customers identify mobile devices that survive a tough work day, run all the needed software and tools today, and will remain flexible and scalable to adapt to evolving technology applications as business needs dictate. In January of this year, Xplore Technologies Corp. (NASDAQ: XPLR) announced the firm had partnered with CLS America to launch the Thorium X, a first-in-class satellite communications tablet system built on the Xplore XSLATE D10 Android™ rugged tablet PC. Xplore received an initial order from OEM customer CLS for 1,000 XSLATE D10 units and is prepared to fulfill follow-on orders as needed over the next three years to support rising production and sales of the CLS-branded system as end-user demand dictates. The Xplore XSLATE D10 rugged tablet was exclusively chosen to serve as the underlying platform for the Thorium X rugged satellite tablet and software solution. In fact, Thorium X users will have the unprecedented ability to access email, view statistical reports of missions, engage in M2M communication and monitoring, and send electronic forms — among other critical tasks — via satellite in real time. A bright, 10.1” outdoor viewable screen and Glove Touch capabilities make it easy to conduct secure, TPM 1.2-protected transactions day or not, even in inclement weather. 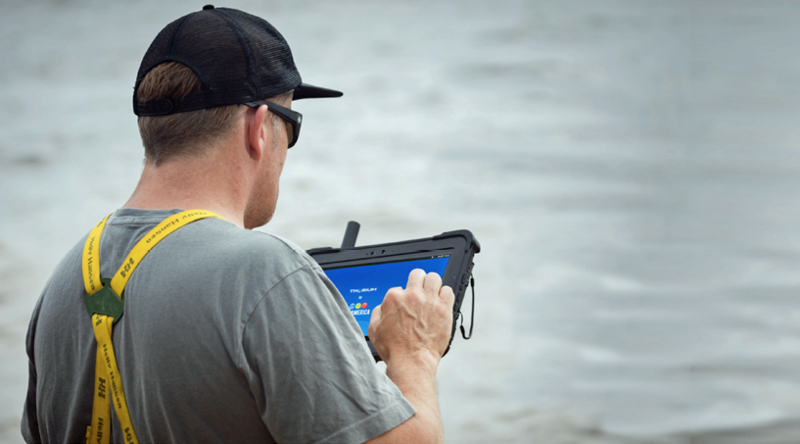 Thorium X software solutions are also available as a tablet app and desktop platform to securely facilitate mapping functions, deliver weather reports, and perform data compilation and transmissions in real-time via the rugged satellite tablet. Mark Holleran, president and COO of Xplore: noted that one of Xplore’s strengths is the ability to engineer flexible rugged tablet technologies that allow OEMs, such as CLS, to customize and implement future-proof mobility solutions based on our industry leading platforms. “By adding satellite data communications capabilities to the best Android rugged tablet on the market – the Xplore XSLATE D10 — CLS both expands the addressable market and enables increased ROI for customers with “off the grid mobile workforces. “We believe that the successful launch and rapid customer acceptance of Thorium X is a significant win for Xplore and our OEM business. As a leading global rugged tablet manufacturer, we remain very agile in responding to evolving market demands for highly specialized mobility solutions. This co-engineering effort with CLS is demonstrative of our ability to help customers solve complex problems for their end users very quickly,” Holleran concluded. “We know that communications challenges in places or during times when no cellular or WiFi is available costs global industries and governments millions of dollars,” said Michael Kelly, vice president of CLS America. “Thorium X now allows people to stay connected via satellite 100 percent of the time, and at a fraction of the cost of satellite phones. “The launch of Thorium X means that users no longer have to rely solely on WiFi or cellular network connections. This is a huge win for people and teams who work in remote areas, or during times that other communications have been compromised, especially those supporting global operations related to Emergency Management, Military, Environmental Monitoring, Government, Fisheries, and other field-centric industries,” he added. For more information regarding the new Thorium X fully rugged satellite tablet, visit thoriumxamerica.com. Live demos will also be available at Xplore’s booth #3231 at DistribuTECH 2017 in San Diego, CA, January 31-February 2, 2017. Additional information about Xplore’s XSLATE D10 rugged tablet can be found at xploretech.com/D10. With a range of products and services tailored to customer requirements, and its long-standing commitment to innovation, the CLS Group is a leading provider of location and data collection services and value-added products in the global marketplace. CLS America, in particular, has been providing satellite data intelligence to different end users for the past 30 years throughout the world. Xplore is The Rugged Tablet Authority™, exclusively manufacturing powerful, long-lasting, and customer-defined rugged tablet PCs since 1996. Today, Xplore offers the broadest portfolio of genuinely rugged tablets – and the most complete lineup of rugged tablet accessories — on Earth. Its mobility solutions are purpose-built for the energy, utilities, telecommunications, military and defense, manufacturing, distribution, public safety, healthcare, government, and field service sectors. The company’s award-winning military-grade computers are also among the most powerful and longest lasting in their class, built to withstand nearly any hazardous condition or environmental extreme for years without fail.